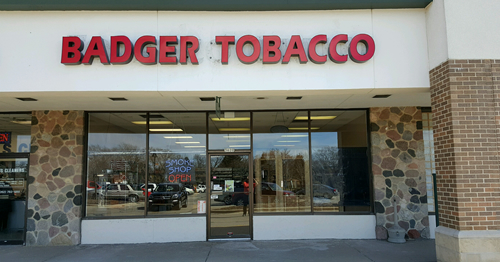 Badger Tobacco offers a one stop shop for your tobacco and vapor needs. Cigarettes at the lowest legal retail prices. Cigars looked after in a walk in humidor with humidity computer controlled. Hookah, Pipe, RYO, Vapor and Accessories all covered in this shop with great prices. Copyright Badger Tobacco, LLC. All Rights Reserved.